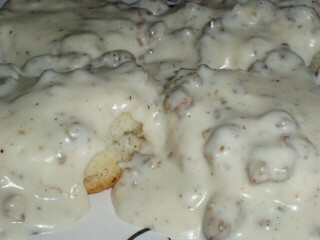 Chef Will's homemade sausage gravy served over our southern style buttermilk biscuits. If you had a fun night of taking family selfies or could not keep up with the big dogs, then this comfort meal is perfect to get back on your feet or to put you right back to sleep!! Deluxe $4.25 Egg & Cheese with your choice of bread and two meats. Build Your Own Burrito 3 $8.50 Your trainer will not be happy with you!!!! However,..
Oatmeal $1.99 Happiness and nutrition come in our warm bowl of Oatmeal,..